two bathrooms, well-equipped kitchen, close to many quaint villages. 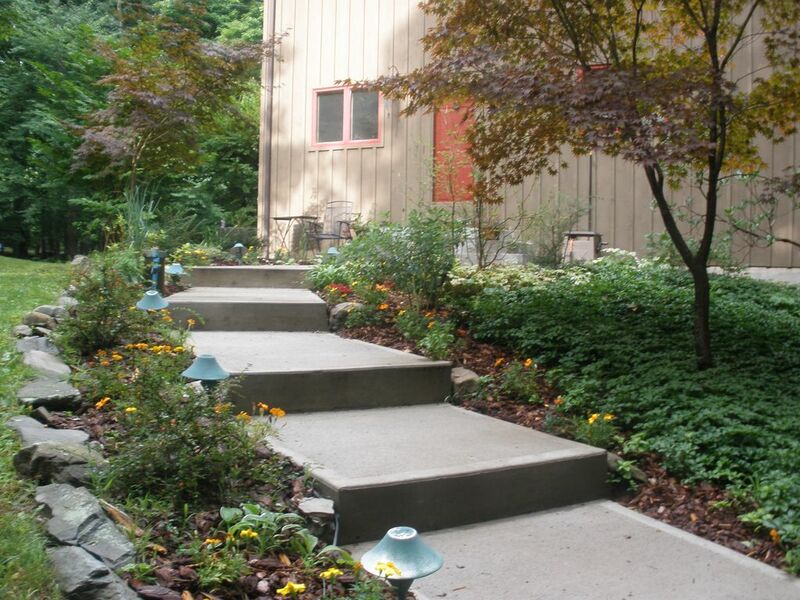 The home is on 6 wooded acres and offers privacy and comfort. We are close to Omega Institute, Tivoli, Red Hook, Pine Plains, Rhinebeck, Millbrook and Standfordville and 1 mile off of the Taconic State Parkway. There is no smoking in the house and a $200 refundable deposit is required. The house comfortably sleeps six people. If you have any questions, please contact me. Pictures available upon request. Was a pleasure being able to stay here for this past weekend. House is much bigger than it looks in the pictures, but it is cozy and welcoming all the same. Fireplace was beautiful and easy to use, kitchen was immaculate and the full bathroom upstairs its beautiful and modern. We look forward to renting here in the future. It was a pleasant experience all around. This house was much more than we expected. The floor to ceiling windows in the dinning room and living room were spectacular. Made you feel like you were one with mother nature and true daylight shinning through. Home was immaculate with a beautiful kitchen and all amenities. All instructions for house were mailed out in advance and there was no need to call Mark or Ricky for anything but to thank them. Close to many awesome towns like Rhinebeck, Red hook, Hyde Park. Pumpkin and apple picking also close by. The outside deck was also a great place to hang out and grill. We will definitely be back to this house many more times in the future. Home lovely. Bed in master bedroom extremely high and very difficult to get into. Had to stand on chair to get into bed! Way too may requirements to stay in house. Felt like I was a maid. Would prefer upscale lodging without all the things to do (turn hot water and heat on and off...put out trash..strip beds and put linens in basement, etc.. etc....what does the cleaning person Do?). Would I recommend this house for a relaxing week end..no..
After contacting the owner to make sure a family reunion would be permitted, we booked the property and couldn't be happier with the result. The house sits on a wooded lot where we saw deer every morning in the woods from the deck. The spacious yard was perfect for our reunion. We set up a badminton and corn hole game in the yard and played until dark. The inside of the house is very spacious with a fully stocked kitchen, two separate seating areas plus a dining area and two nice sized bedrooms. Everything was neat and clean, the beds comfortable and owners responsive. We only wish it had been cool enough to use the beautiful wood burning fireplace in the living room. The fireplace just adds more beauty to the rest of the house. We have already started planning for next years reunion. Home was exactly what we wanted for a long weekend away. Secluded but very close to many amenities! We will definitely be back! Perfect location to relax and enjoy all the Mid-Hudson Valley offers. Property is quiet, but close to hiking, wineries, restaurants and historic and cultural attractions. House is clean and fully equipped for cooking, reading, playing board games, listening to music, relaxing on the deck and appreciating the owners’ Mission furniture and plants. Nightly Rate: $225 - $250 Weekly Rate: $900 Monthly Rate: $2800 - $3200 $450/weekend, $550 for three nights, $900/week. $200 refundable security deposit required. $25/person/night for more than four people.